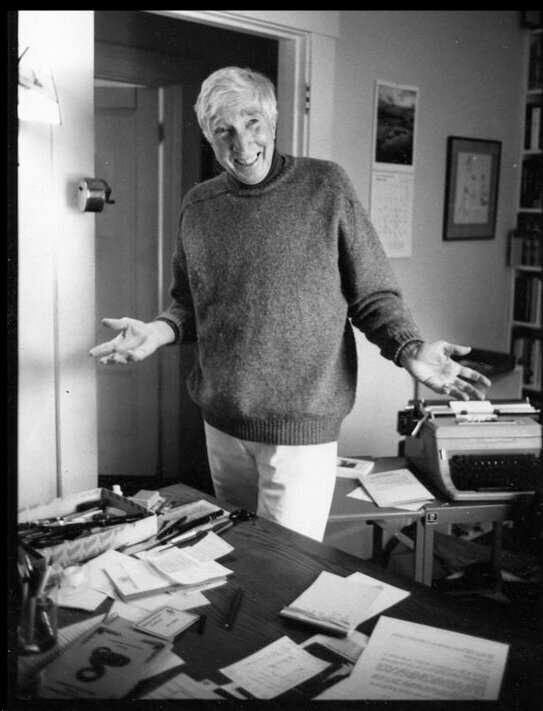 John Updike (1932-2009) was an American novelist, poet, literary critic, art critic and short story writer. 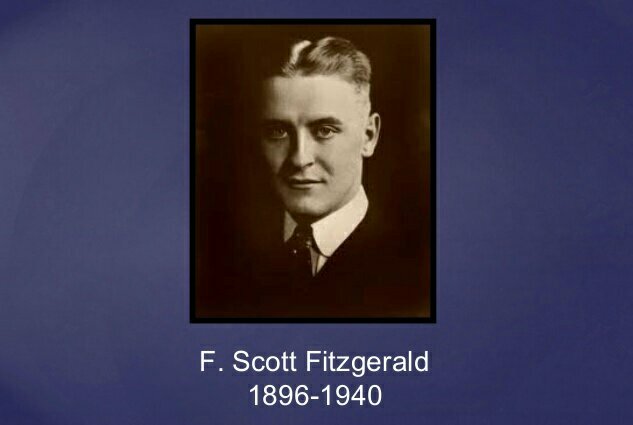 He was one of only three writers to win the Pulitzer Prize for Fiction more than once. 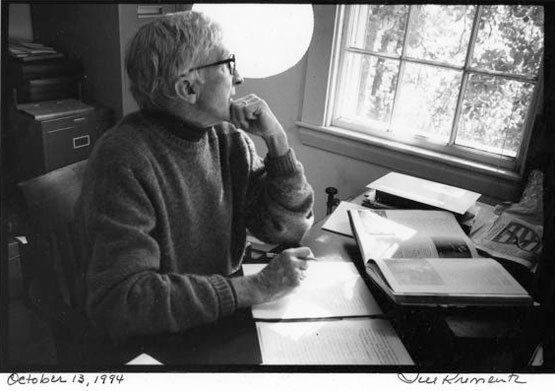 Updike published more than twenty novels, more than a dozen short-story collections, as well as poetry, art and literary criticism and children’s books during his career. Hundreds of his stories, reviews, and poems appeared in The New Yorker starting in 1954. 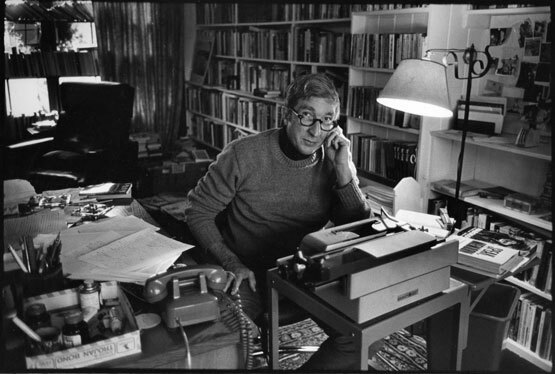 He also wrote regularly for The New York Review of Books. 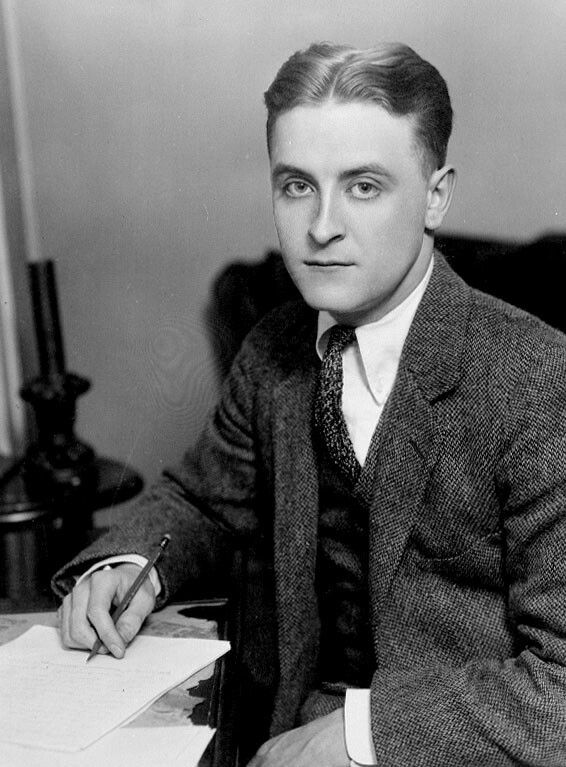 His most famous work is his “Rabbit” series (the novels Rabbit, Run; Rabbit Redux; Rabbit Is Rich; Rabbit at Rest; and the novella Rabbit Remembered), which chronicles the life of the middle-class everyman Harry “Rabbit” Angstrom over the course of several decades, from young adulthood to death. Both Rabbit Is Rich(1982) and Rabbit at Rest (1990) were recognized with the Pulitzer Prize. The miracle of turning inklings into thoughts and thoughts into words and words into metal and print and ink never palls for me. 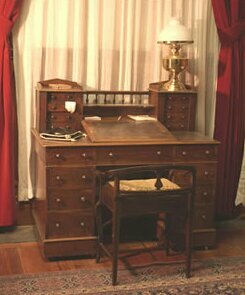 For much of his career he rented a small office above a restaurant in downtown Ipswich, Massachusetts, where he would write for three or four hours each morning, netting about three pages per day. I try to write in the morning and then into the afternoon. I’m a later riser … I rush into the office around 9:30 and try to put the creative project first. I have a late lunch, and then the rest of the day somehow gets squandered. There is a great deal of busywork to a writer’s life, as to a professor’s life, a great deal of work that matters only in that, if you don’t do it, your desk becomes very full of papers. So, there is a lot of letter answering and a certain amount of speaking, though I try to keep that at a minimum. 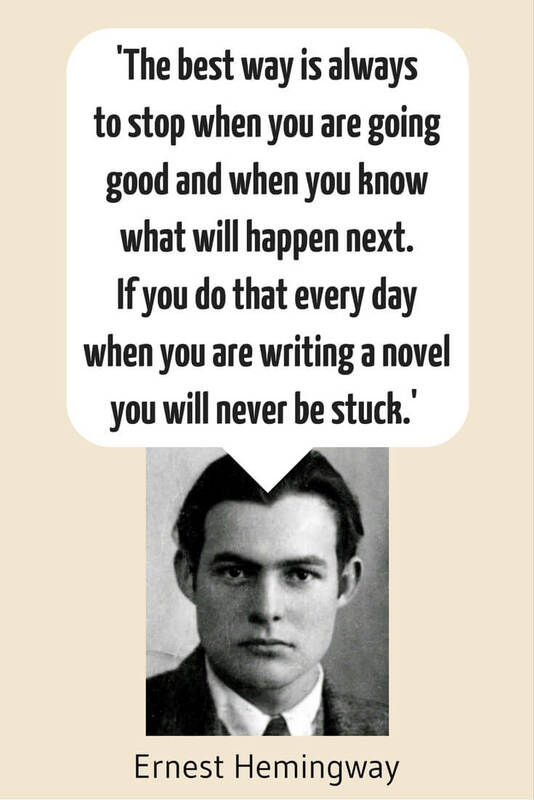 But I’ve never been a night writer, unlike some of my colleagues, and I’ve never believed that one should wait until one is inspired because I think that the pleasures of not writing are so great that if you ever start indulging them you will never write again. So, I try to be a regular sort of fellow – much like a dentist drilling his teeth every morning – except Sunday, I don’t work on Sunday, and of course some holidays I take. A solid routine saves you from giving up. In a further interview during 2004 he was again asked about his writing routine and whether he kept to any particular schedule. The best way is always to stop …. 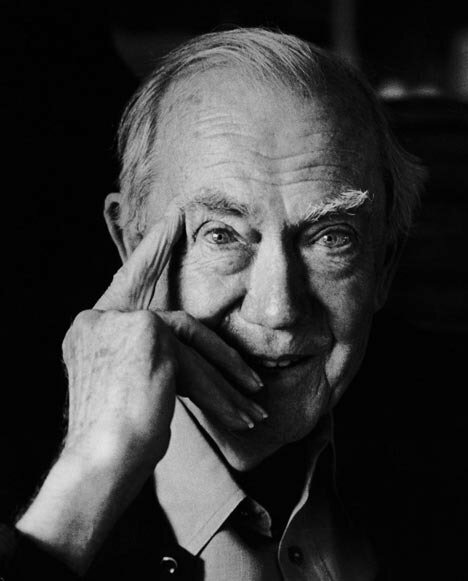 Graham Greene (1904-1991) was an English novelist and author regarded as one of the great writers of the 20th century. 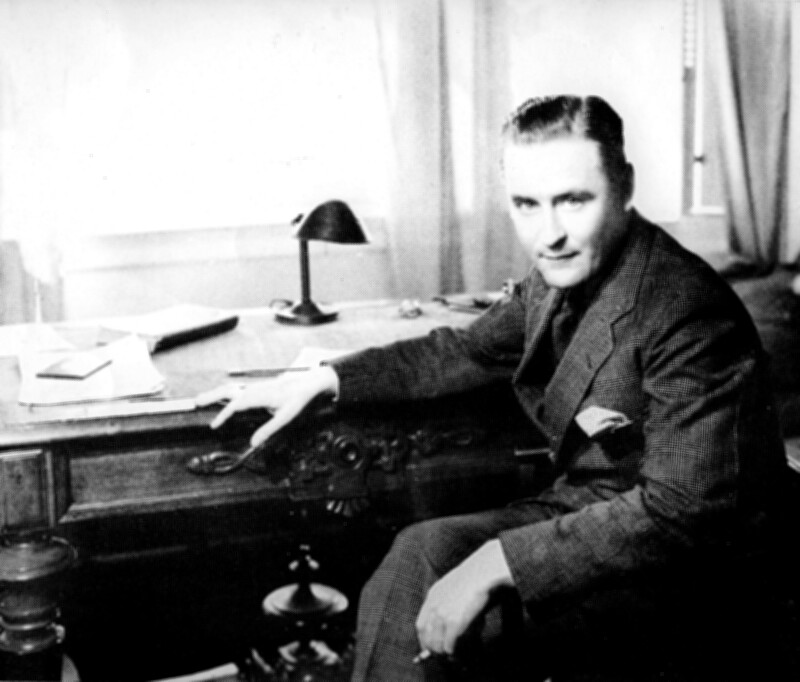 Combining literary acclaim with widespread popularity, Greene acquired a reputation early in his lifetime as a major writer, both of serious Catholic novels, and of thrillers. He was shortlisted, in 1967, for the Nobel Prize for Literature. Through 67 years of writings, which included over 25 novels, he explored the ambivalent moral and political issues of the modern world, often through a Catholic perspective. His most famous works include Brighton Rock, The Power and the Glory, The Heart of the Matter and The End of the Affair which are regarded as “the gold standard” of the Catholic novel. 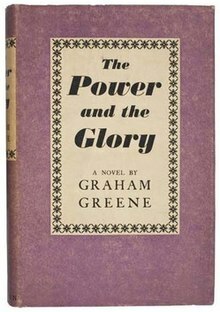 Several works, such as The Confidential Agent, The Third Man, The Quiet American, Our Man in Havana, and The Human Factor, also show Greene’s avid interest in the workings and intrigues of international politics and espionage. Greene became a well-travelled man and his travels led to him being recruited by MI6. He also met Pope Paul VI, Fidel Castro and was good friends with Charlie Chaplin. He died in 1991 at age 86 of leukaemia and was buried in Corseaux cemetery, Switzerland. 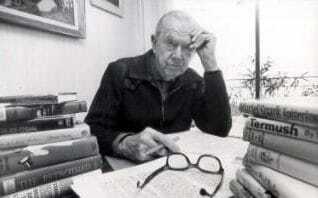 In his 1951 novel, The End of the Affair, Graham Greene described what was in fact his own method of working. In the summer of 1950, Michael Korda, a lifelong friend of Greene and his editor at Simon & Schuster happened to witness Greene at work on The End of the Affair. That summer Korda vacationed with Greene and others aboard a yacht called Elsewhere off the coast of Antibes. Korda was sixteen at the time, Greene forty-five. 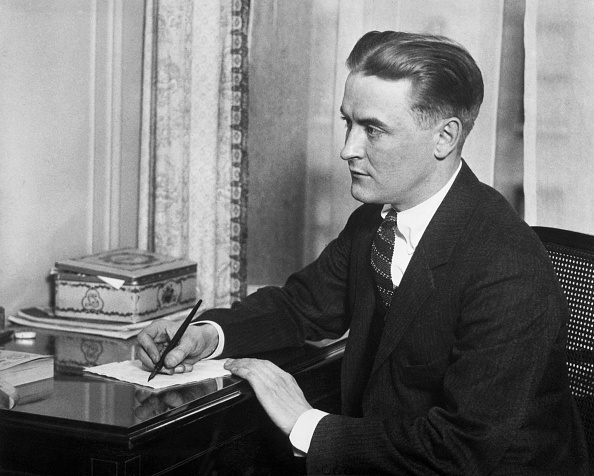 Korda later described watching the famous writer at work during this cruise. 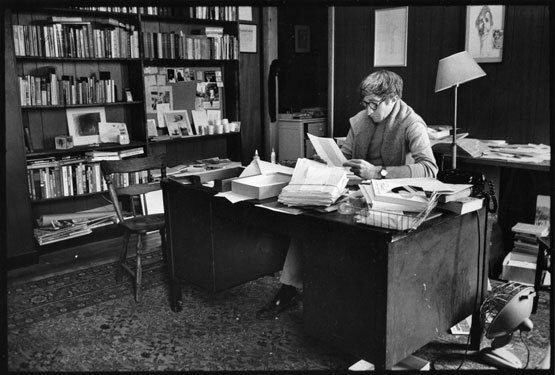 Greene’s self-discipline was such that, no matter what, he always stopped at five hundred words, even if it left him in the middle of a sentence. It was as if he brought to writing the precision of a watchmaker, or perhaps it was that in a life full of moral uncertainties and confusion he simply needed one area in which the rules, even if self-imposed, were absolute. In 1953, Greene was interviewed by the Paris Review for their Art of Fction series. He was asked if he worked regular hours when writing his books. Greene did not keep up this productivity, or the drug use, throughout his career. As he got older, Greene found it harder to maintain his clockwork discipline. Twenty years after that summer aboard the Elsewhere, Greene gave an interview to a reporter from the New York Times. Greene was then 66. “I hate sitting down to work. I’m plugging at a novel now which is not going easily. I’ve done about 65,000 words — there’s still another 20,000 to go. I don’t work for very long at a time — about an hour and a half. That’s all I can manage. One may come back in the evening after a good dinner, one’s had a good drink, one may add a few little bits and pieces. It gives one a sense of achievement. One’s done more than one’s thought. There are certain writers who seem to write like one has diarrhea — men like Durrell for instance. Perhaps their bowels get looser and looser with age. I’m astonished at someone like Conrad who was able to write 12 hours on end — it’s superhuman, almost. It’s like a strain on the eyesight. I find that I have to know — even if I’m not writing it — where my character’s sitting, what his movements are. It’s this focusing, even though it’s not focusing on the page, that strains my eyes, as though I were watching something too close. In the old days, at the beginning of a book, I’d set myself 500 words a day, but now I’d put the mark to about 300 words. He admitted that, where he once required five hundred words of himself each day, he was now setting the bar as low as two hundred words. 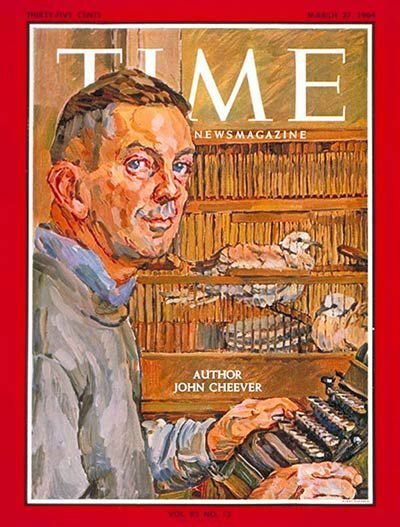 John Cheever (1912-1982) was an American novelist and short story writer. He is sometimes called “the Chekhov of the suburbs”. His fiction is mostly set in the Upper East Side of Manhattan, the Westchester suburbs, old New England villages based on various South Shore towns around Quincy, Massachusetts, where he was born, and Italy, especially Rome. 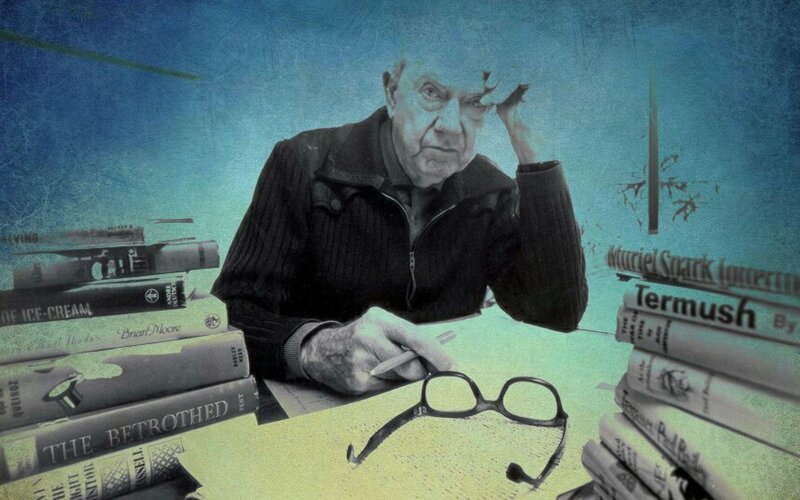 He is now recognized as one of the most important short fiction writers of the 20th century. 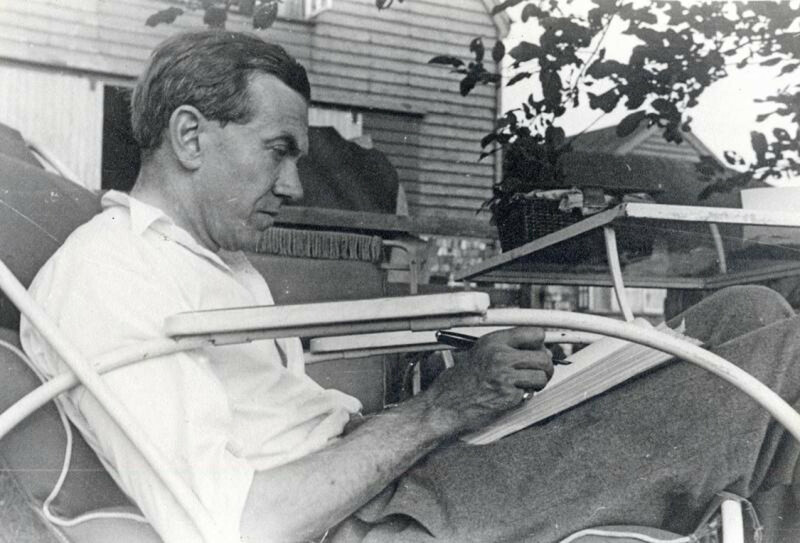 While Cheever is perhaps best remembered for his short stories (including “The Enormous Radio”, “Goodbye, My Brother”, “Th Five-Forty-Eight”, “The Country Husband”, and “The Swimmer”), he also wrote four novels, comprising The Wapshot Chronicle (National Book Award, 1958), The Wapshot Scandal (William Dean Howells Medal, 1965), Bullet Park (1969), Falconer (1977) and a novella Oh What a Paradise It Seems (1982). 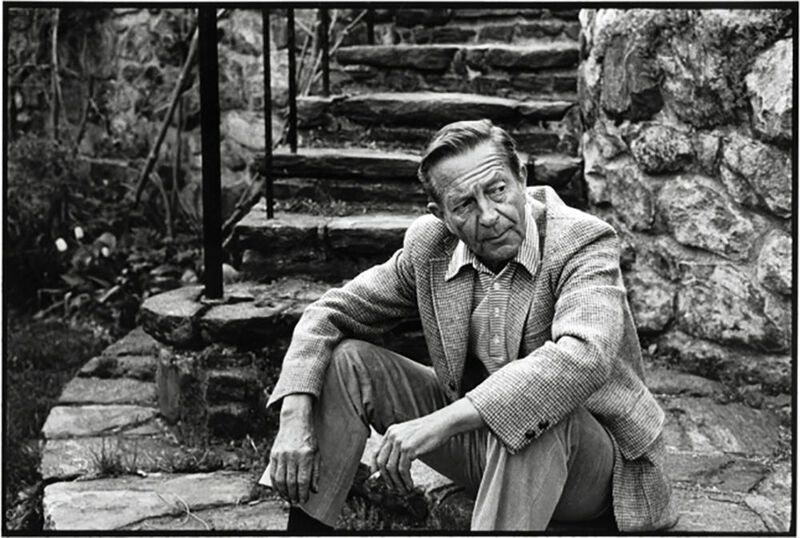 A compilation of his short stories, The Stories of John Cheever, won the 1979 Pulitzer Prize for Fiction and a National Book Critics Circle Award, and its first paperback edition won a 1981 National Book Award. Born and raised in Quincy, Massachusetts he moved to Boston in 1932 and then on to New York. He got married in 1941 and enlisted in the Army in 1942. 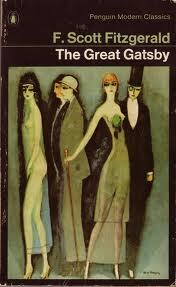 His first collection of short stories, The Way Some People Live, was published in 1943 to mixed reviews. After the war, Cheever moved his family to an apartment building at 400 East 59th Street, near Sutton Place, Manhattan. 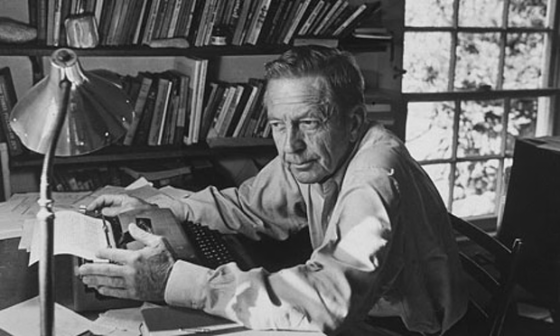 During the late 1940s, John Cheever worked to an unconventional routine. In the morning he would put on his business suit, leave his apartment, and catch the lift downstairs with any commuters. Then, when they reached the ground floor, he would keep going, down to the basement, where he’d walk to his favourite storage room, strip down to his boxer shorts and spend the morning writing. At noon he put his suit back on and headed back upstairs. Lunch followed, then a leisurely afternoon. 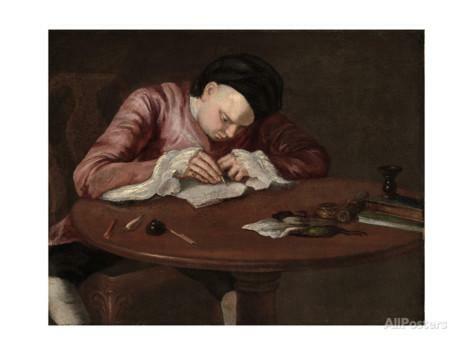 He continued to write almost every morning for the rest of his life. As his career progressed, the writing sessions grew shorter and shorter, while cocktail hour became longer and longer. By the 1960s, his working day was usually over by 10:30 A.M. 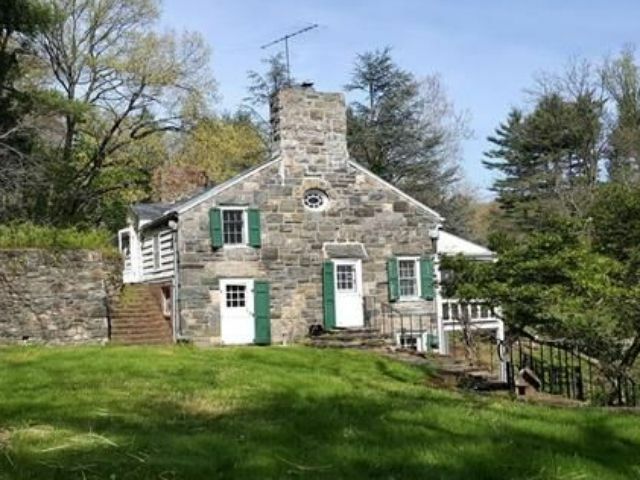 In 1961 his family moved to a stately, stone-ended Dutch Colonal farmhouse in Ossining, on the east bank of the Hudson. He lived and wrote there until his death in 1982. 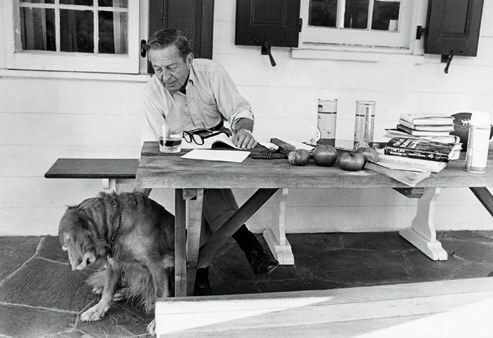 John Cheever and the family’s golden retriever, Maisie, on the porch of his Ossining, New York, house, October 6, 1979. By Paul Hoseifros/The New York Times/Redux. 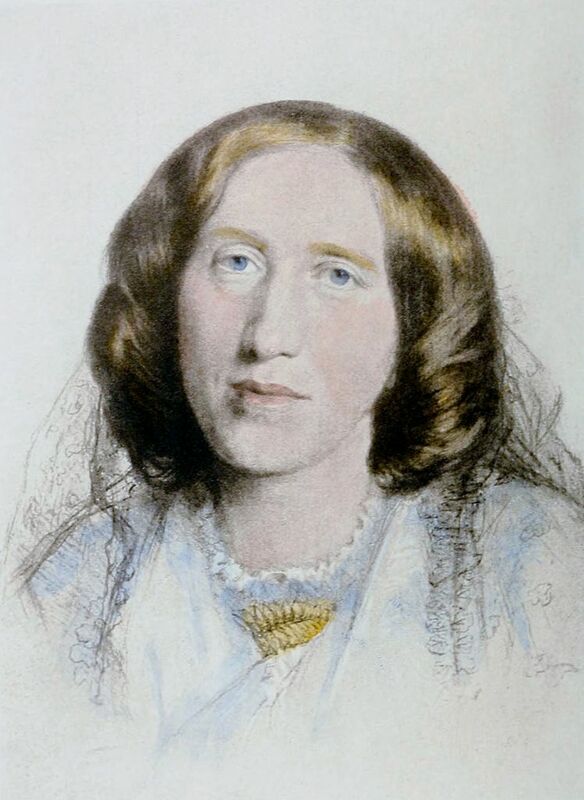 Mary Anne Evans (1819-1880); alternatively “Mary Ann” or “Marian”), known by her pen name George Eliot, was an English novelist, poet, journalist, translator and one of the leading writers of the Victorian era. She is the author of seven novels, including Adam Bede (1859), The Mill on the Floss(1860), Silas Marner (1861), Middlemarch (1871–72), and Daniel Deronda (1876), most of which are set in provincial England and known for their realism and psychological insight. 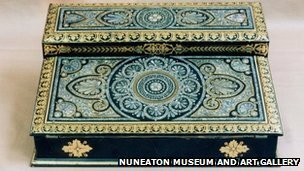 She was born in Nuneaton, Warwickshire. In 1850 she moved to London with the intent of becoming a writer. She took a job at a left-wing journal The Westminster Review, and became its assistant editor in 1851, a position she held until 1854. While continuing to contribute pieces to the Westminster Review, Evans resolved to become a novelist. She also adopted a nom-de-plume, the one for which she would become known: George Eliot. She used a male pen name, she said, to ensure that her works would be taken seriously. Female authors were published under their own names during Eliot’s life, but she wanted to escape the stereotype of women’s writing only lighthearted romances. She also wished to have her fiction judged separately from her already extensive and widely known work as an editor and critic. In 1857, when she was 37, “The Sad Fortunes of the Reverend Amos Barton”, the first of the Scenes of Clerical Life, was published in Blackwood’s Magazine and, along with the other Scenes, it was well received (it was published in book form early in 1858). Her first complete novel, published in 1859, was Adam Bede; it was an instant success, but it prompted intense interest in who this new author might be. 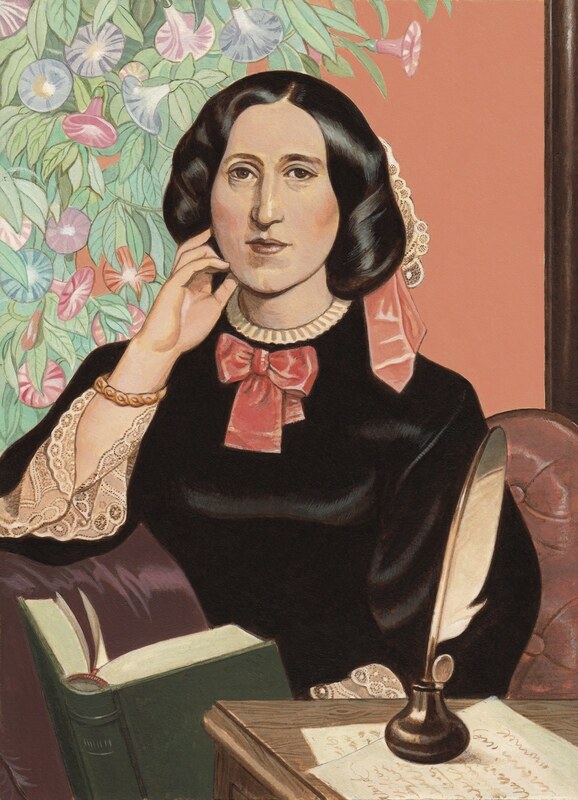 In the end, the real George Eliot stepped forward and admitted she was the author. 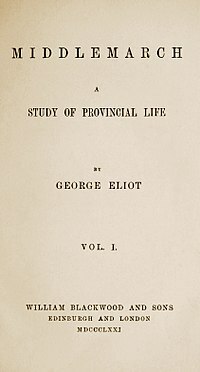 After the success of Adam Bede, Eliot continued to write popular novels for the next fifteen years. Her journals record that George Eliot generally wrote in the morning. After lunch she and her partner would usually go for walks. Evenings would be for reading. 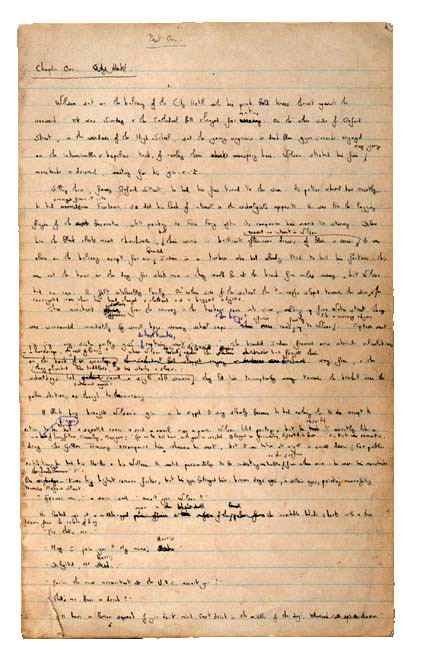 When Eliot was coming towards the end of a novel then all routines would go and she would write feverishly until it was finished- often with headaches & sore eyes along the way. 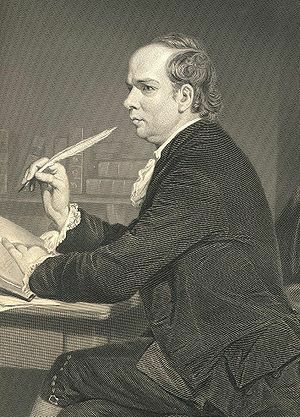 Oliver Goldsmith (1728-1774) was an Irish novelist, playwright and poet, who is best known for his novel The Vicar of Wakefield (1766), his pastoral poem The Deserted Village (1770), and his plays The Good-Natur’d Man (1768) and She Stoops to Conquer (1771, first performed in 1773). He is also thought to have written the classic children’s tale The History of Little Goody Two-Shoes (1765).